The Five Pocket Combo modification adds five additional pockets to the upper area of your rucksack. This can provide you with extra storage or easy access to more important items. 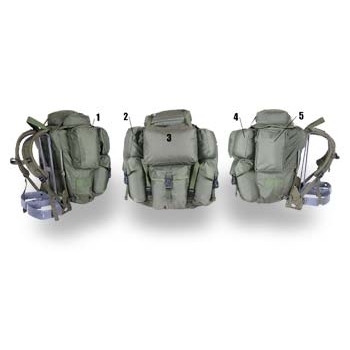 The buckles on the main straps are upgraded to Fastex quick release buckles and the stress points will be reinforced as well.